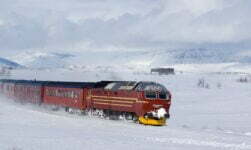 Home › Rail Travel › An Arctic Railway for Norway? An Arctic Railway for Norway? 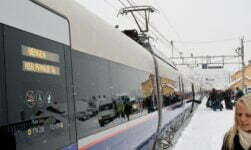 The government is considering plans to extend the railway northward to link Bodø & Tromsø. Apart from a line from Narvik into Sweden, Norway's railway network ends at Bodø. 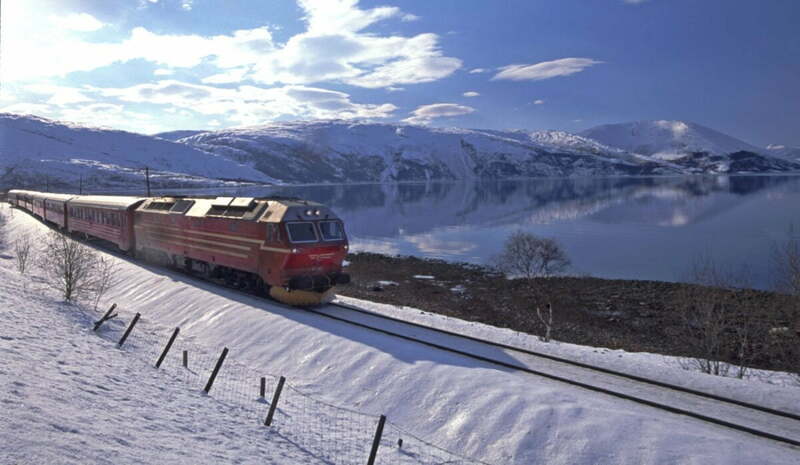 The Government has announced it will spend two million kroner on a feasibility study to extend the railroad from Fauske (near Bodø) all the way to Tromsø, a length of approximately 500km (310 miles). Aside from cities located on islands, Tromsø is said to be Europe's third largest city without a rail service after Ioannina in Greece and Viseu in Portugal. It does however, have a pub named Jerbanestasjon (The Railway Station), named after the long-standing plans to build a station in the city. 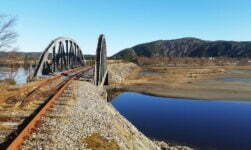 It was decided almost 100 years ago to build a railway in northern Norway, but the line was only built to Fauske. Since then, there have been no further extensions north. When last reviewed in 1992, the proposal was deemed viable between Narvik and Tromsø, but the stretch between Fauske and Narvik was not. Morten Skandfer, a supporter of the project in Venstre, Norway's Liberal party, believes the situation is different today because of an increase in exports of seafood. He has said it could be as much as a fivefold increase by 2050, so it is important to see how this can be achieved in the best possible way. Such economic benefits seem to be based on sound evidence. According to reports, seafood exports run south of the railway line from Narvik into Sweden, and they have increased by 217% in the last decade. Environmental campaigners are celebrating the news. Friends of the Earth Norway (Naturvernforbundet) believe that moving the goods currently transported by road over to rail will not only have a positive effect on the climate, it will also improve better traffic safety and create less damage to the roads. It isn't clear whether such a line would be designed to support passenger services. 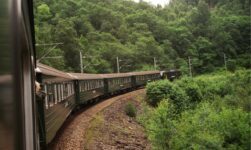 Although the scenery is likely to be spectacular, the journey times would be long and the priority would presumably be goods trains. The line from Trondheim to Bodø currently supports two daily trains in both directions (one day train and one night train), although additional local services operate from Steinkjer-Trondheim and Fauske-Bodø. Watch this space for more news as the study progresses. I traveled from Oslo to Trondheim and to Bodo by train and then by bus to Narvik! An amazing trip 25 years ago! The best! 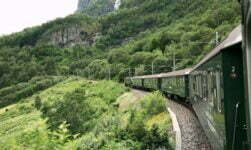 I love trains and Norway!! !